Aleksey Shenker is a professional violinist who specializes in mixed genre performance; Pop/Modern, Classical, Jazz, Gypsy repertoire. 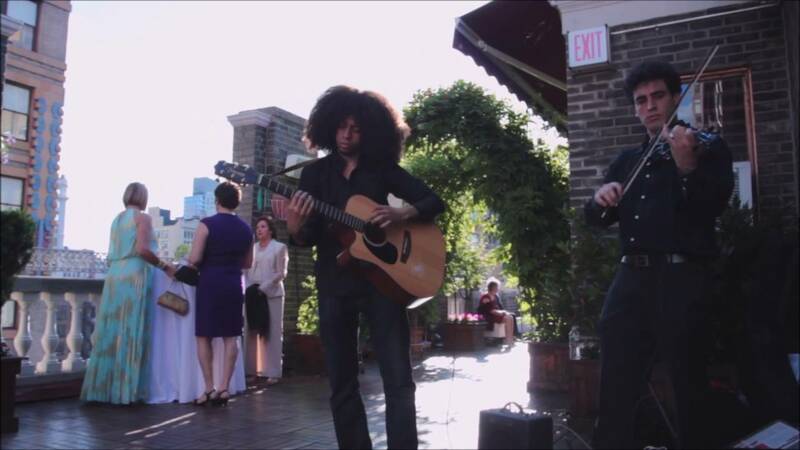 Aleksey can provide music fitting for any event, setting, and venue. He performs on both acoustic and electric violin and is accompanied by backing tracks preset on his portable amplifier. Aleksey is happy to discuss your specific musical needs and accommodate them. For Video and Audio samples please inquire. Incredibly Talented and Fabulous!!! Hire Him!!! Aleksey was incredibly Fabulous! Talented, Professional and Exceptional! Hire him and dont think twice, he is Wonderful to work with and made our wedding Incredibly Beautiful!!! Thank you from the bottom of my heart!!! He showed up early and started playing without needing any direction from us. We had him play during cocktail hour and so many guests said that was a classical and fun touch, kids were dancing in front having a great time. He then moved to our reception and collaborated with our dj to play during his songs! Thank you so much, if we host another event will include and/or recommend you. Aleksey was fantastic. Not only was he exceptionally professional, but he really worked with the feel of our event to play the right music to set the tone-- there were moments of dancing and quiet moments of just enjoying his playing and it all blended together wonderfully. All of our guests loved the music he provided and he really helped make our event even more special. Thank you, Aleksey! Alexsy is not only a very talented musician he was also very professional and easy to work with. I would recommend him without hesitation. beautiful music and a true professional we received so many compliments we definitely would hire him for another event thanks alex! Aleksey was amazing!!! Everyone at my daughter's party enjoyed his playing. I highly recommend Aleksey. I will definitely use him again. Professional. Played perfectly what we requested. Just great job all around. really blown away. Aleksey played Bruno Mars "marry me" as my husband & I were exiting the church!!!! It was awesome!!!! Highly recommend! We were so pleased with Aleksey's performance at my mother's 100th birthday celebration. He was professional and organized, and displayed patience through his flexibility with the program and timing. The music was absolutely beautiful and helped set the tone of the party. Thank you Aleksey! He showed up on time and was very courteous and professional even when the bride was late. He played every song we requested and he played them well. I would defiantly recommend him to anyone. What a pleasure to deal with Aleksey. Responsive, professional and was willing to stretch his repertoire to include a new song that he was unfamiliar with. Would recommend him for other events. I had a lot of anxiety about finding a violinist for a fashion event I was hosting, but Aleksey was very easy to communicate with while being totally reassuring. He had put my mind at ease instantly when I told him what kind of ambience I wanted to create during cocktails before the fashion show started. He played wonderfully in addition to choosing music that blended perfectly for the event. I will definitely hire him again for future events. I have already recommended him to other event coordinator acquaintances. We were so taken aback by Aleksey Shenker's talent, that we hired him twice for our events in NYC. (Just booked him for #3) He captivates the audience with his performance, he plays anything from classical to pop and hip-hop. Prior to one of our events, we requested that Aleksey would prepare hit song "Hotline Bling" by Drake and Aleksey delivered without a doubt. We are excited to continue working with him!! Most definitely recommended. Aleksey performed splendidly at my end-of-year faculty-student history party. 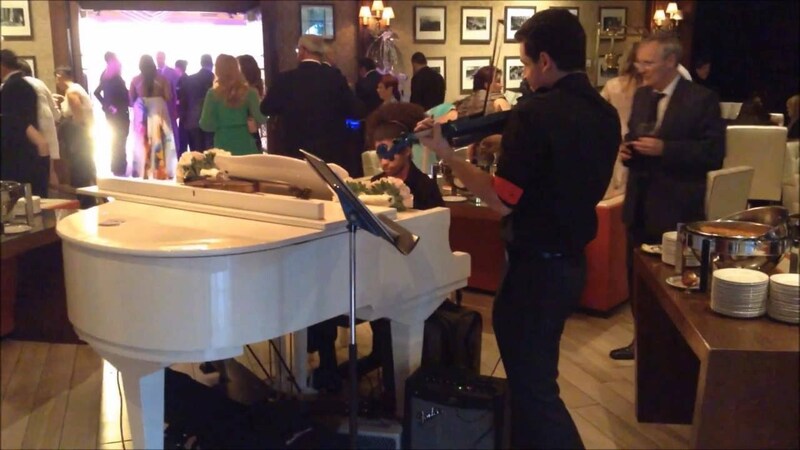 At times his violin could be heard gently in the background offering soothing classical favorites and soft "pop" tunes; while at other moments his captivating playing took center stage among the guests. Aleksey's bearing was remarkably charming yet highly professional and he received many accolades from those in attendance. . Moreover, business interactions with him were totally cordial and smooth.Having him perform at our event was a real treat and I recommend him to others as highly as I possibly can. My (now) husband and I booked Alex to play at our wedding after hearing several excellent reviews about him. I asked him to send me some audio/video so I can hear him play and I was in awe! We communicated via email and text and Alex always responded in a timely manner. I sent Alex some songs I wanted him to play during the ceremony - some classical music but also some modern pop songs - and I was extremely please with everything! He plays beautifully on the violin and I really wish I was able to hear more of him play than running around, taking pictures, and greeting guests (LOL). I completely recommend Alex and can't wait to eventually have another event at which he can play! early arrival and a punctual start. - Professional, virtuosic, high quality performance; made possible through years of training, performance experience and Conservatory. - Your selected music and/or genres performed on either electric or acoustic violin, accompanied by preset backing tracks on quality amplifiers. Volume levels will be set to fit the needs of the event type and venue. 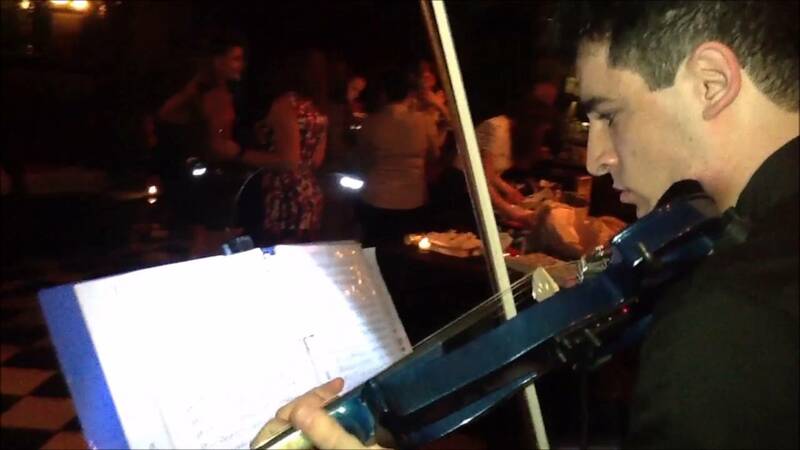 Aleksey Shenker is a professional violinist and music instructor who has performed as a soloist and orchestra member in such prestigious venues as Carnegie Hall, Lincoln Center, Symphony Space, The Javits Center, and the Art Student’s League. 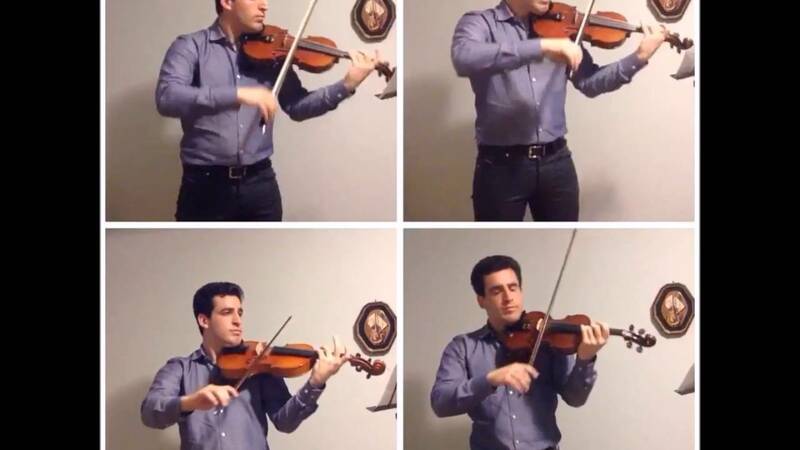 Aleksey was born in the Ukraine and raised in Israel, where he began studying the violin at the age of seven. After immigrating to the U.S. he received a B.M. from the Mannes College of Music, one of the world’s leading classical conservatories. Aleks​ey has been a member of the Manhattan Symphony and the Richmond County Orchestras and has performed with numerous chamber music groups. He has won the Lincoln Center Chamber Music Society Award. He has also spent several summers honing his skills and collaborating with peers at the renowned Meadowmount Music Festival in upstate New York. Aleksey has been certified as a Suzuki teacher by the School for Strings in Manhattan. He currently teaches children and adults in his private studio, as well as at the Diller-Quaile School of Music in Manhattan and the Virtuoso Suzuki Academy in Long Island. In recent years Aleksey has expanded his performing and teaching repertoire beyond the classical realm to embrace many contemporary genres, achieving a versatility that enables him to meet the educational needs of diverse non-classical students as well as the performance requisites of nearly every kind of social event. He stands ready and willing, with both acoustic and electric violins, to meet all your musical needs and will do so in stellar fashion. not too far from the performance area ideally.